Sugar Free Style: 100 safety studies vs. 1 unpublished Italian study? 100 safety studies vs. 1 unpublished Italian study? 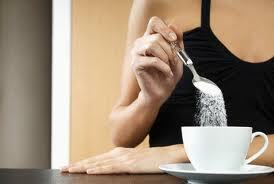 How much is enough to prove to me the safety of sucralose (Splenda)? I’ll take 100 studies over a 20 year period. However, yet here is another piece of misinformation, this time from The Center for Science in the Public Interest (CSPI). Seems that CSPI downgraded its rating of sucralose, from “safe” to “caution”, over one study from an unnamed “independent” Italian group. Yet, up until now, CSPI has been singing Splenda’s praises. The independent Italian study, as we learned at the Calorie Control Council, is from the Ramazzini Institute, a group known more from its unorthodox methods and sensationalist approach. If you haven’t heard about them, Ramazzini has been dissed by many regulatory bodies worldwide, as well as leading toxicology experts. The results of the study (which, by the way, has yet to be published in any venue) are at odds with everyone else’s views, including those of the European Food Safety Authority (EFSA), World Health Organization (WHO), the U.S. Food and Drug Administration and others. JunkScience.com probably put it best. Nuf said!